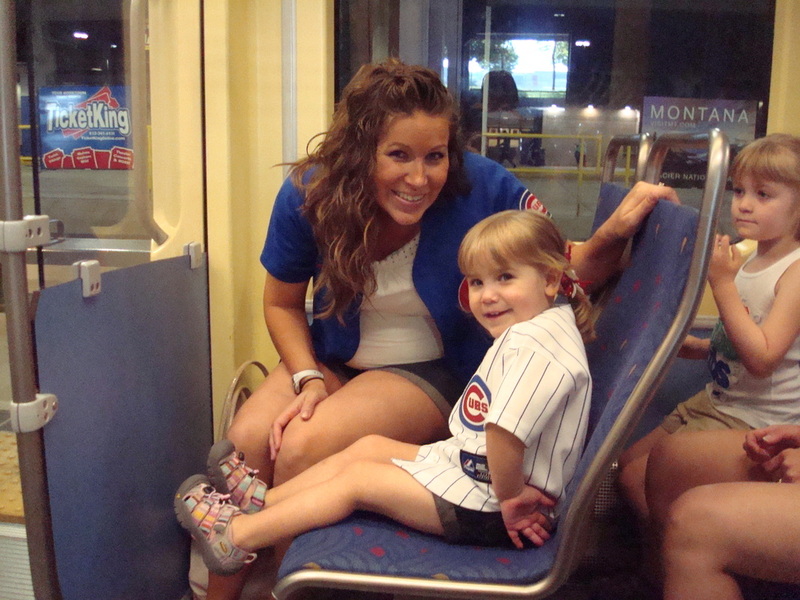 Mrs. Hillman and Halle on their way to Halle's 1st Cubs game! grew up in Rockford, IL with my parents, sister, and 2 brothers. From a very young age music was a big part of my life. Both my Mom and Grandma were music teachers and piano instructors as well. It should come to no big suprise that I started playing piano and singing in my local church children's choir when I was 6. As I entered Middle School and High School I emerged myself in anything that had to do with music and the arts - Dance, Theater, Choir, Band, Show Choir and Piano! I loved it! After that, it’s history! I went to Elmhurst College and majored in Music Education and Vocal Performance. I sang in the Concert Choir, Jazz Combos, and with the prestigious Vocal Jazz Ensemble Late Nite Blues. College was a phenomenal experience! As a member of the Late Nite Blues ensemble, we recorded several CD's, had the opportunity to clinician and perform with such jazz greats as The New York Voices and Diana Krall and completed several tours across the United States and Canada. I went back to school in 2006 for my Masters Degree at National Louis University. I am beginning my 14th year of teaching and currently live in Batavia with my Husband (MR. Hillman - BHS PE Teacher/Coach), and daughter 3 children -Halle(7), Nolan (5) and our youngest member of the family Ronan (He just turned 2 this summer June 30th). I also Coach RMS Cross Country and BHS Track and Field(pole Vault). I love all sports, the Chicago Cubs, and of course spending time with my family.